Worry is fretting. Worry is bound by fearful thoughts. Worry is being nervous, uptight or anxious. Worry feels threatened. Worry is a bundle of nerves. This anxiety gets in your way. It becomes a detriment. It only contributes to more distance, more crashes and more pain. Anxiety builds on anxiety. Layer upon layer is added and you journey down a path that only becomes more hopeless and personally and relationally more destructive. You lose more control over your feelings. Your feelings overwhelm. The resulting behavior from your anxiety triggered by the martial or relationship crisis destroys your dignity and self respect. 1. You react rather than act. You focus almost exclusively on what is occurring around you. You worry about what s/he will say or not say, will do or not do next. You watch. You always have one eye “out there.” You wait. You worry. Your feelings are at the tip of your fingers. Something happens, or doesn’t happen and then you react. 2. You feel like you have no control. You feel powerless. You feel victimized. You feel like a leaf blowing in the wind. You feel like you are at the mercy of your spouse or that significant other. 3. You doubt yourself. It seems as if you have lost your self. Your self esteem feels at an all time low. You doubt that you have anything to give or have any words to utter that will be heard or hold power. You cannot articulate what is unique or of value about you. You find it difficult to trust your desires or your thoughts and insights. Doubt is a constant friend. 4. Your spouse usually does not know how to respond helpfully to your worry or feelings. How you express your worry and feelings, i.e. the look on your face, your body language, your tone of voice and/or the words you use, trigger his/her worry and feelings. His/her level of worry is intensified. 6. 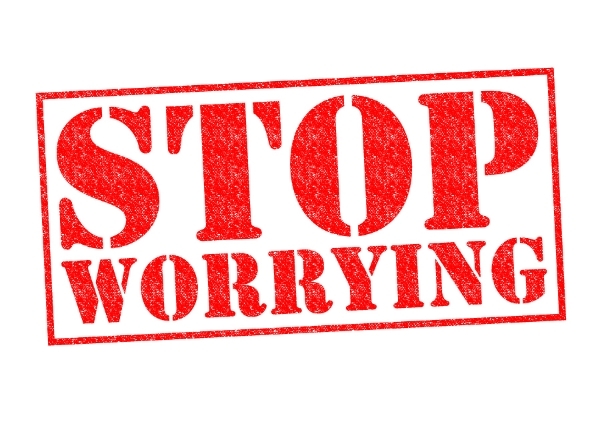 Your worry may set up a cycle of doing or saying something “stupid,” that you know is “stupid,” but it comes out anyway, since you’ve done it before and there seem to be few filters on your thoughts, feelings and actions when you are grabbed by worry. And once it comes out, you go, “Oh crap, I did it again!” And, then you emotionally beat and deride yourself. This adds another level of worry and tension. You feel worse. 7. Worry tends to push you in the direction of seeing your partner or spouse as the enemy. It’s you vs him/her. S/he, during these moments, is your adversary. You must argue. You must convince. You must placate. You must oppose – all in the name of making your point to someone who is against you. 8. You want to protect your feelings and yourself rather than confront effectively. You go into a protection mode. You shrink away from what you really want to say and either say it in an abrasive manner or don’t say it at all. You hide you, for fear of the possible rejection you may encounter. 9. You want to protect rather than give. You become so absorbed in the protection theme, you feel so overwhelmed by the overwhelm and worry that the thought of giving and sharing of yourself is not considered. As well, at that moment, you believe you have very little, if any, to offer. 10. You feel like your life is shrinking, constricting and the joy, freedom and fun are lost. You become consumed with your worry. Your life is narrowed to your own lack and how your partner or spouse contributes to that lack. It seems as if your marriage and life is living a slow but certain death. 11. 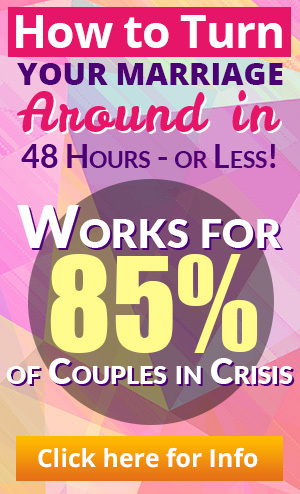 You, your spouse and your marriage or relationship explodes. You attempt for so long to “keep the lid on” and eventually all hell breaks loose. S/he wants a divorce. 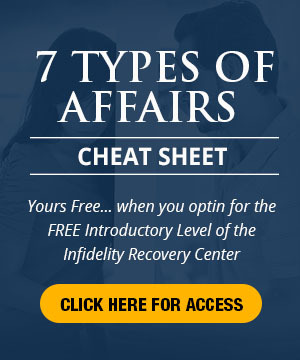 Infidelity becomes a major issue as a third party becomes part of the drama. S/he walks out. S/he becomes depressed. The addiction becomes severe. Your children start acting out. A serious illness enters the picture. Some other catastrophe breaks the painful silence. Think, for a moment, of what it’s like to be around a “worry wart” or anxious person. I used to visit a friend and most often we found ourselves conversing in the kitchen. Nine times out of ten she would pick up a dish rag and begin wiping her kitchen counter, even though, for the life of me, I could see no obvious need. It was a habit. It was an anxious habit. It was largely an unconscious way for her to manage her anxiety. She would wipe and talk at the same time. I would listen and follow the stroke of her rag across the counter top. And, when I walked away I could usually feel a low level of anxiety. Her anxiety became mine. It takes work and personal energy to be around someone who worries is anxious and the feelings are on the edge. When you live and interact persistently and intently with an anxious spouse, it takes its toll. Eventually the anxiety or worry finds an outlet, and it’s often not pretty. The absolute first step in facing effectively your marital crisis, whatever its nature, is to stop revving around in reverse as fast as you can, slamming into your world and shift to neutral. Realize that your anxiety, and the expression of your anxiety or worry, the loss of control over your feelings, are killing you and your relationship and is your worst enemy. Once you shift its energy to neutral a new world of change and resolution opens. This entry was posted in Dr. Huizenga's Blog Posts, Emotional Distance, Emotional Infidelity, Infidelity Marriage, Infidelity Pain, Marital Crisis and Self Esteem, Relationships: Marriage, Self Care, Surviving Infidelity and tagged coping with infidelity, infidelity crisis, infidelity problem, marriage crisis, marriage help, marriage problems, recovering from an affair. Bookmark the permalink.